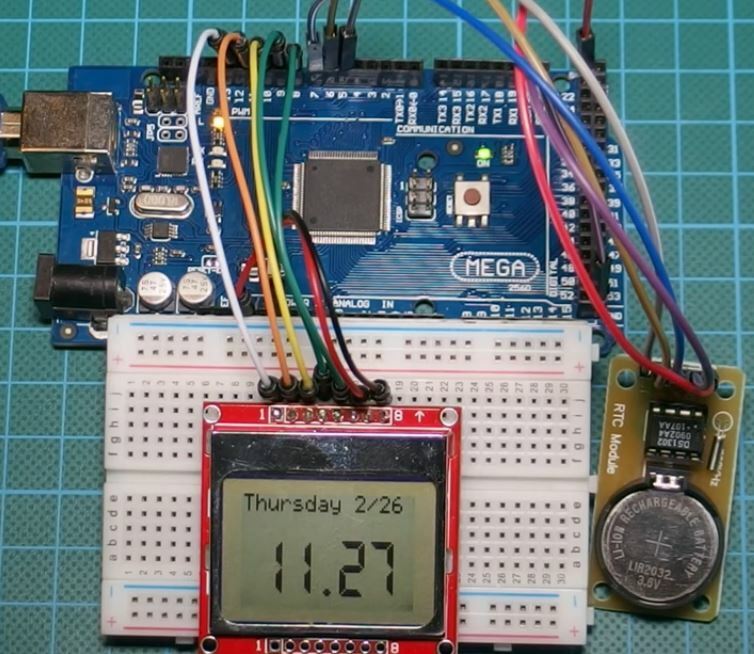 Using Adafruit’s 0.56″ 7-segment LED backpack and display and the DS1307 RTC (Real Time Clock) board, this tutorial will guide you to make a simple 4-digit clock that uses only 2 Arduino pins. 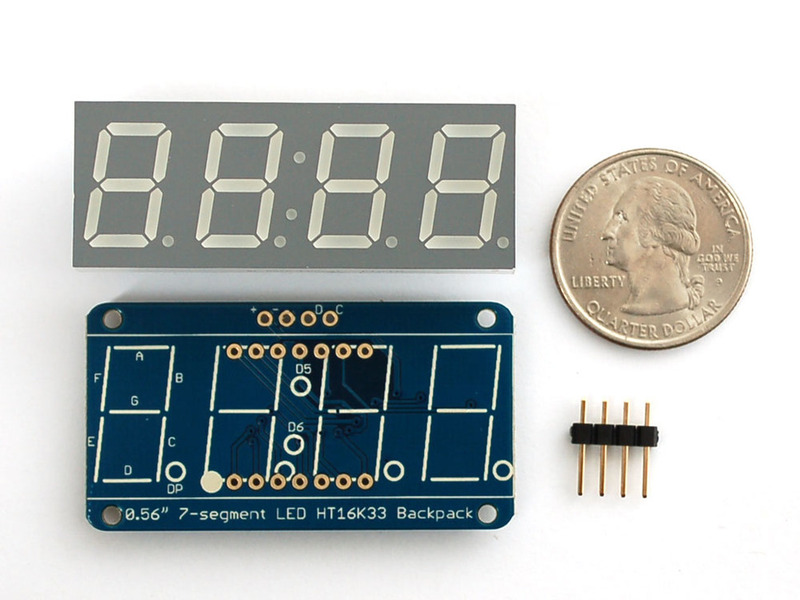 The 7-Segment Backpack is a combination of the LED display, header pins, and a PCB which need to be soldered together. The PCB contains a driver chip with a built in clock that multiplexes the display and constant-current drivers for ultra-bright consistent color. 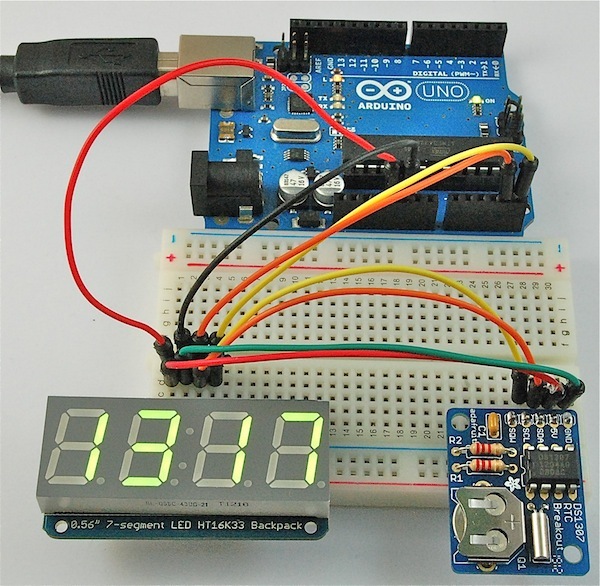 This module uses I2C interface, which means it needs just two data pins to control the 4 digits instead of 14 pin, freeing up Arduino pins for other usages. 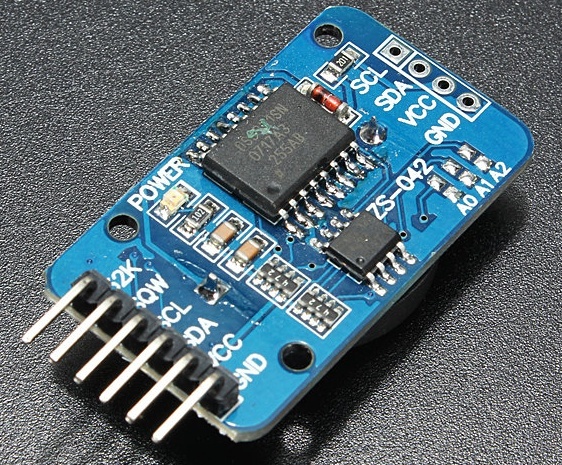 DS1307 is a battery-backed real time clock (RTC) that allows a microcontroller project to keep track of time even if it is reprogrammed, or if the power is lost. 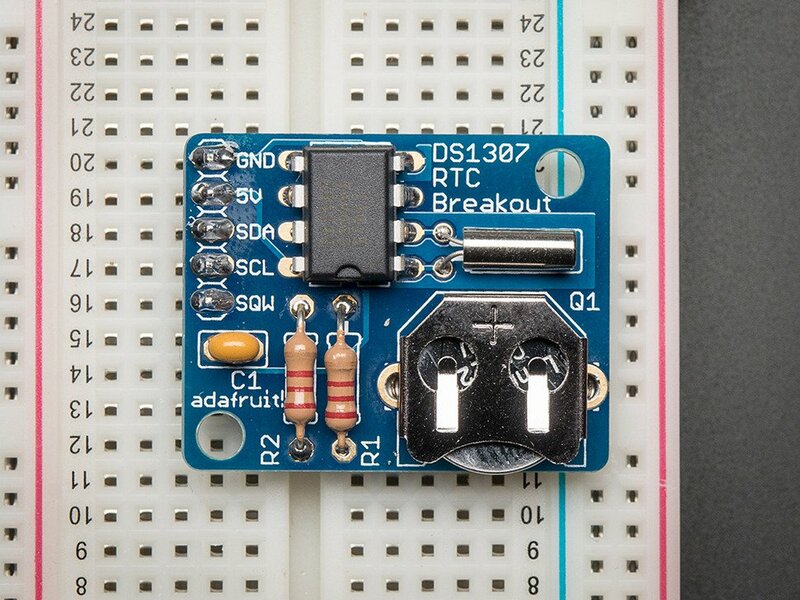 DS1307 breakout board also comes as a kit of parts to be soldered. It is a simple process, connect the part as shown in the image, the red wire connected with 5V, black wire with GND, orange to A4 (SDA – data), yellow to A5 (SCL – clock). 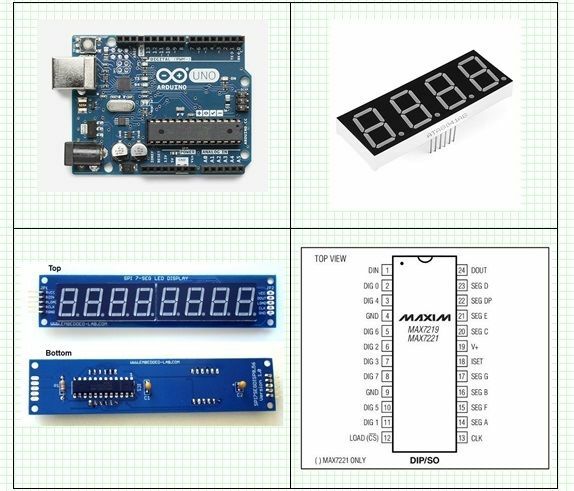 Both RTC and 7-segment modules have an Arduino library, as normal with libraries, unzip the folders into your Arduino ‘libraries’ directory and then restart the Arduino IDE for it to pick them up. The full documentation of the project is reachable here.